«364 ДНЯ» – художественный и культурный проект, документирующий оставшихся российских ветеранов Великой Отечественной Войны и их повседневную жизнь. Каждый год, 9 мая, те, кто боролся за Россию на войне, одаренные вниманием и благодарностью, восхваленные, маршируют на площади Победы – этот ОБРАЗ широко знаком большинству россиян. Проект «364 ДНЯ» направлен на отражение других 364 дней в их жизни. 364 Days is an art project by Sasha Sokolova. 50 oil paintings depicting the lives of Russia's remaining war veterans, and making us think about the 364 days of the year they are not celebrated as war heroes. An important cultural and artistic project. Barcelona is one of the most visited cities in Europe and very much in the headlines today. As with Berlin, waves of tourists distort the day to day life of the city that many of the overlook or passby. In Momentos, Sasha Sokolova captures the rhythm of Barcelona and its people in a uniquely candid observational style, and goes further to weave the classic patterns of modernism through her landscapes and studies of human behaviour. 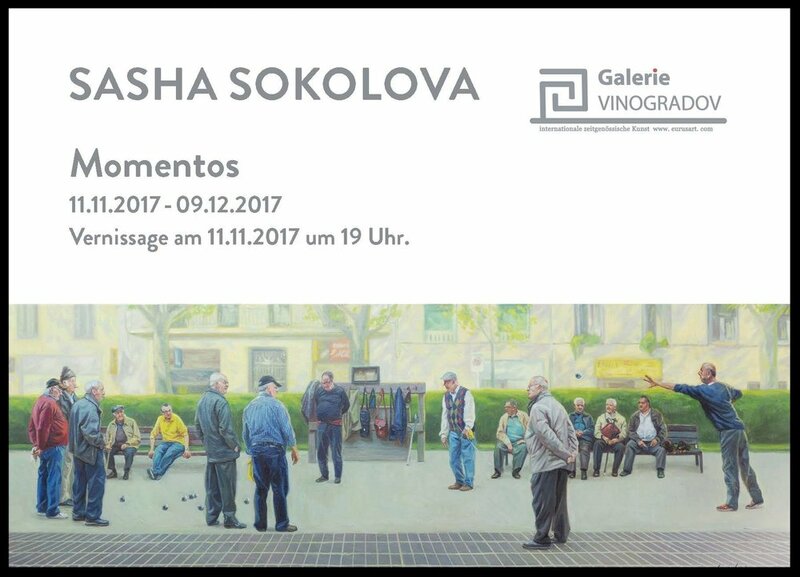 "What we find in Sasha Sokolova’s recent works is often a solipsistic vision, an urban panorama in which the rituals of the everyday are performed regardless of the public context: street games, bars and social interaction in which the players appear unaware of being observed and oblivious to the proximity of those around them. 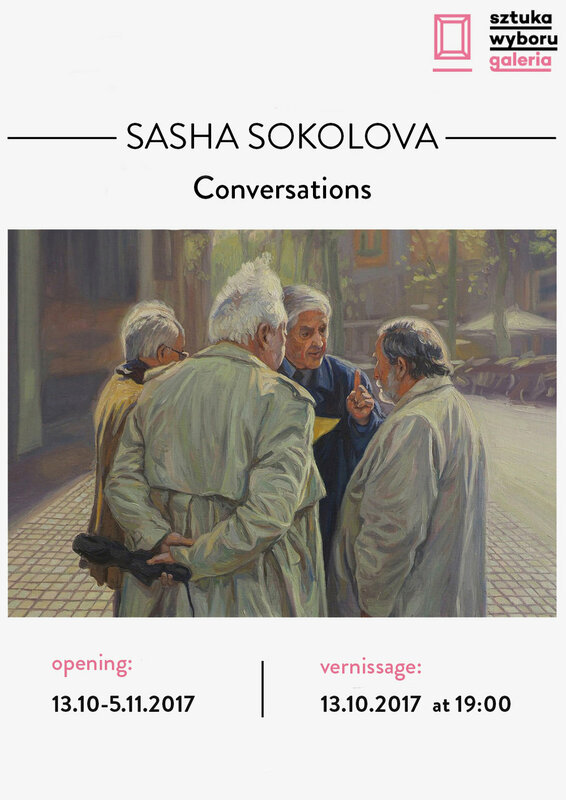 Sasha captures this corner of everyday reality with a highly trained eye and dexterity of execution that lays bare what might otherwise pass us by, and does so with an almost whimsical empathy and understanding. As with all her works, she does our looking for us. And, just perhaps, encourages us to take closer note the next time we encounter a dog walker on the street."